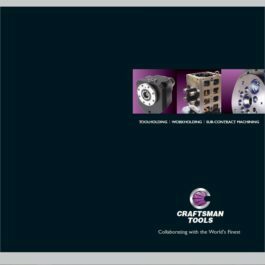 Craftsman Tools Ltd is a multi-award winning supplier of precision toolholding, workholding and supply chain management services to a broad spectrum of the engineering sector. Craftsman Tools is able to provide the support and toolholding needed to generate the best results in a modern production facility. Our range of toolholders and accessories can reduce production costs and improve quality. Craftsman Tools is able to provide the support and toolholding needed to generate the best results in a modern production facility. Our range of toolholders and accessories can reduce production costs and improve quality. Adaption of standard toolholders or outright specials can give an extra edge to productivity when carefully matched to the machines capability and the product requirements. 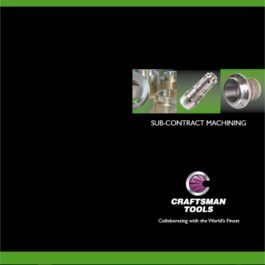 Through partnership agreements built up over the last 20 years, Craftsman supply Craftsman Capto™ Quick-Change holders for leading machine tool manufacturers such as DMG Mori, Okuma, Haas and Doosan lathes, as well as both Capto™ and standard holders for the complete Mazak lathe range. We are constantly updating our range with both standard holders and innovative solutions for special applications. With over 60 years experience we have been manufacturing precision workholding equipment. During this time we have met the exacting requirements of customers in industries such as aerospace, automotive and oil & gas both in the UK and around the world. Craftsman can offer both standard parts and bespoke solutions for Cube Type Work Holding, Expanding Mandrels and Collet Chucks, as well as fully bespoke fixtures, including both manual fixtures and hydraulic fixtures suitable for robot loading. With an extensive range of both in-house machining services and a network of trusted suppliers and service partners that allow us to offer a full supply chain management service from material purchasing to finished part delivery. 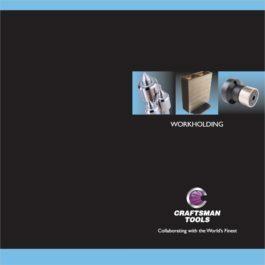 Craftsman Tools Ltd are also proud to have one of the very few UK based accredited Pressure Testing area.